Coffee table books are an art form. Whether they're filled with stories, information or stunning photography, it's the easiest way to bring life, colour and personality to your home. Audrey Hepburn is one of my idols. She was beautiful, inside and out. I own about eight Audrey Hepburn books but this one is particularly good, as one of her sons - Sean Hepburn Ferrer - wrote it. (Meaning it’s as close as you’ll get to an autobiography as there will ever be.) It’s filled with photos from their family albums, archival documents, letters and even artwork by Audrey itself. Hepburn Ferrer tells her story like only a son can. It’s the perfect coffee table book. Because you need a picture book for adults. For me, it’s Vogue. Vogue has been a fashion institution for over 125 years. This book documents a century of British Vogue covers, starting from it's launch in 1916. It features over 200 covers that move from bold illustrations to innovative photography. It's a fashion time capsule, showing changing fashions, and evolving beauty trends. You remember why Vogue has the reputation it does ‒ “the original style bible”. Whether it be a cook-book or a travel book, you need an information-based book. For me, that’s Amazinger Face. 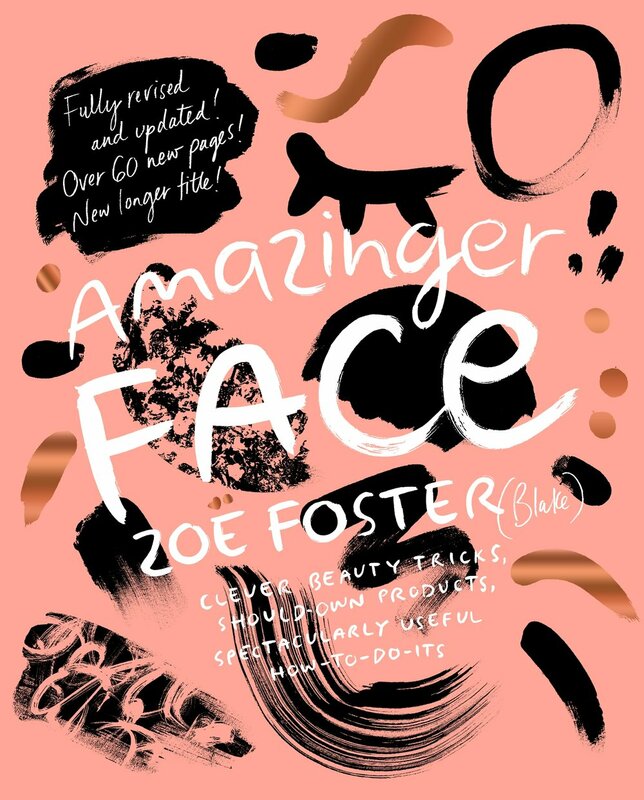 Amazinger Face isn’t just a coffee table book though, it’s a by-the-bed book, a bathroom book as you try to copy Foster Blake’s nifty tips and tricks. But if you’re a beauty lover, you need this beauty bible on your coffee table (or by the bed, or in the bathroom, or on the shelf). Whatever your interests: art, travel, food, design etc ‒ it's a coffee table must-have. Shoes are one of my great loves so what better than a book on the 50 shoes that changed the world? Really, it’s informational AND cute.